Minor Program Changes – My Journey to Godliness! Made some slight changes in the program in hope of improving my lifts. 2. Revert back to Reverse Crunch (3 sets of 12) from Dragon Flags. 3. Chin/Pull-ups and Dips rep goal now are 3 sets of 8-10. 4. 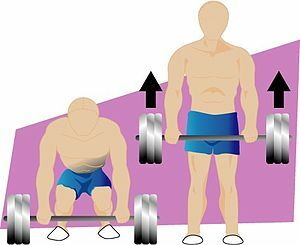 Removed Power Cleans in Deadlift and Bent-over Row warm-ups.